We specialise in finding and placing professionals and senior management for companies across all industry sectors without referring to a database of candidates seeking employment. We are experts at finding the exact type of individual that you need for all positions, ranging from grass-roots level right through to directorships. At Eagle Headhunters, we have a wealth of experience gained within blue-chip and high-tech organisations as well as SMEs, so we understand the frustrations and pitfalls of searching for and recruiting high-calibre individuals. Eagle Headhunters have achieved notable successes, both within the UK and internationally, by headhunting in all sectors for all vacancies but especially at senior levels including but not limited to Non-Executive and Board Level - Sales, Finance, Marketing & Technical, for companies of all sizes. At Eagle Headhunters we firstly meet with you, the employer, to ascertain and understand what and who you are looking for, then we match your requirements in finding the right individual. We use totally different methods to those used by recruitment agencies - we do not advertise positions and do not have a database of candidates to refer to. Our headhunting methods are based purely on researching the top performers and most successful employees within any given industry. Eagle Headhunters have been sourcing candidates throughout the international headhunting arena for many years. 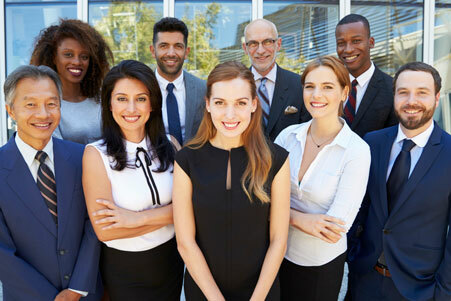 Whether it is a US based technology company setting up a European operation or a Middle Eastern property development company looking for senior management, we have the experience and structural process to become your number one international recruitment partner, sourcing the top performers in your field throughout the globe.